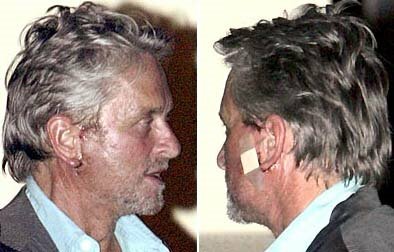 Michael Douglas is so rude. I can't believe he would subject other people to his bleeding and oozing wounds. At a RESTAURANT no less. I mean, it's FINE to be honest about having plastic surgery, but this is too much! It seems almost aggressive on his part.